MP3: Do you play this tune? Please contribute a non-copyrighted sound file (iPhone recording or equivalent is fine). Contact me via the suggestion form. Meanwhile, check out the MIDI below. 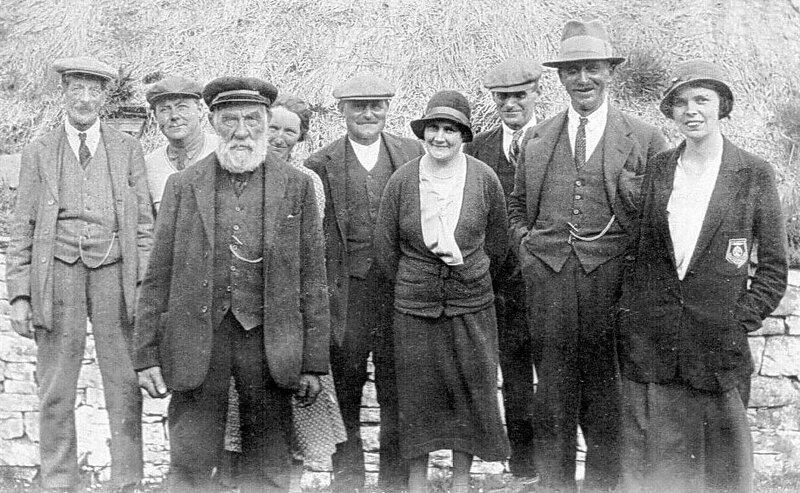 Jimmy is the bearded man in this photo, taken around 1930, of the School Board for Hoy and Graemsay [two of the Orkney Isles], which Len Wilson was so kind to send me, adding that the man with the hat is his grandfather.